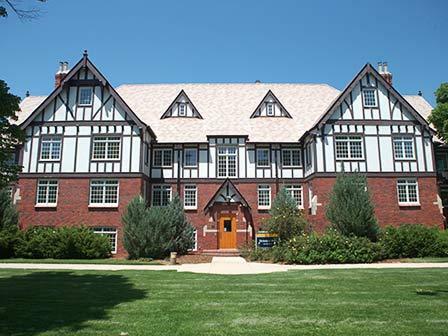 Brown, Bond, Luján, and Dickeson Halls feature English-Tudor style architecture. Dickeson Hall is part of the Presidents Row community on Central Campus. 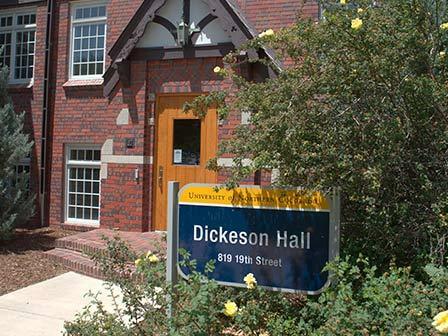 Built in 1940 and renovated in 2003, Dickeson Hall is home to 56 students. Students that want to get involved in the Presidents Row community can be part of Community Council. 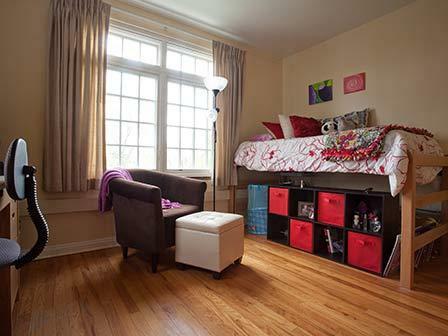 Take a panoramic view of a 6-person suite in Bond Hall. The style of this room will be consistent with other suites in Presidents Row. 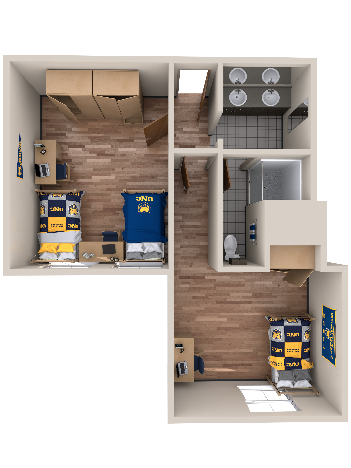 However, since this is a historical building on campus, each room layout is different. Please view the floor plan of the building to see the layout of each room.